The flotilla crowd was hardly a boatload of saints. But what the Israeli government did to them was a sin. Israeli patriot Fania Oz-Salzberger on the shame of a nation. Every true Israeli patriot ought to do something very un-Israeli today: lower his head or hers, and apologize very humbly to the dead and injured of the "Free Gaza Movement" flotilla, to their families, to the Turks, to the international community. And while we are at it, also to the innocent majority of Gazans. The army in which I served, which will soon enlist my children, is only good for one thing: to fight those who are aiming a gun at me. Not those who dislike me, demonize me, or hope to see me dead. Forget PR and screw the usual defenses. This time we are guilty as sin. I am ashamed of my government. Not because the flotilla crowd were a boatful of saints. Even “aid workers” is a gross euphemism. Most of them are probably “peace activists” only if by peace you mean the deep silence that would engulf the eastern Mediterranean after Israel is blown to smithereens. No wonder that this affable navy included zero Jewish-Israeli peaceniks, anti-Zionist as they may be. Hebrew speakers need not apply. But all this, for a change, is beside the point. Raiding ships in international waters (bound for Gaza, I know) loaded with food (and a large supply of knives, I know), and shooting a bunch of Israel-haters (who really went for the kill when the soldiers jumped onto the deck, I know), is not a part of my civil contract with my government. Security? No thanks; you have just stretched the concept a few nautical miles too far. • Reza Aslan: A Blunder No Israeli PR Can Fix • Peter Beinart: Israel’s Indefensible Behavior Here's the thing: Unsavory protesters disguised as humanitarian “peace activists” do not deserve to be shot. If Messrs. Netanyahu and Barak think they can use my taxes and deploy my defense forces in this way, I can only hang my head in genuine embarrassment. The army in which I served, which will soon enlist my children, is only good for one thing: to fight those who are aiming a gun at me. Not those who dislike me, demonize me, or hope to see me dead. Only the gun-wielders. • Leslie H. Gelb: Israel Was Right This is why the Turkish people, increasingly anti-Israeli as they are, deserve a small apology. Turkey is not the new righteous man of the Middle East. In fact, it is sadly squandering its leverage as peace broker and readily joining Avigdor Lieberman in his favorite game, the neighborhood-bully standoff. The Gaza convoy was not your friendly neighborhood cruise, and Turkey's leaders could have helped Palestinians far more effectively by engaging Israel through diplomatic means. But Israel sure found a strange way to ask its greatest Muslim non-enemy to make up and be friends again. The Israeli-Egyptian siege of Gaza was wrong, and must end. All civilian goods should be allowed in, the seriously sick should be rushed to Israeli hospitals, and laborers and students must be searched, airport-style, and let through. Rocket-shooters deserve response by kind. The obnoxious Hamas cannot be pressured into disappearance by making Gaza’s hapless denizens suffer. An honest Israeli should apologize to every innocent Gazan, even if Gaza's leaders and other Palestinian terrorists will never beg pardon for their numerous Israeli victims. Human decency is not a bargaining chip. Finally, a word to the international community. This time, as on a few unfortunate previous occasions, your almost-unanimous condemnation is spot on. As a private Israeli citizen, I join it. As a habitual Israeli patriot, I am ashamed. But tomorrow, or next week, it would again be appropriate to ask Israel's harshest and least discerning critics: have none of you ever been ashamed of your own government's misdeeds? Are the Israelis, even under their present shark-like government, the only guilty fish in the pond? By then, alas, we will be back on that familiar anti-Israel flotilla, in which it is Jonah, only Jonah and always Jonah, who gets cast into the sea. 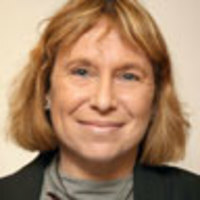 Fania Oz-Salzberger, a professor at Haifa and Monash universities, is currently a Laurance S. Rockefeller visiting professor for distinguished teaching at Princeton.